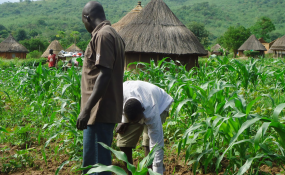 Lokoja — A World Bank assisted project, Agro-Pocessing Productivity Enhancement and Livelihood Support project in Kogi State (Kogi APPEALS), is to empower 10,000 farmers in the state to enhance their productivity. The $200 million project is aimed at making life easier for farmers to increase their yield and get maximum benefits from their productivity. The state Project Coordinator, Dr Abdullahi Ozamata, who gave the indication in Lokoja at a press conference, said the project has five components. According to him, the first component is production and productivity enhancement; the second is primary processing, value addition, post-harvest management and women and youth empowerment, while the third component is rural support to agriculture business clusters. The fourth component, he said, is the technical assistant, knowledge and communication while the fifth is the project management and coordination. Ozamata pointed out that being a World Bank-supported project, it looks forward to working with real beneficiaries, not political farmers. To start with and get it right from the outset, he said the project embarked on a needs assessment. The coordinator explained that the $200m grant is for six participating states. He said the seven-year project was targeting to identify the 10,000 beneficiaries from across the 21 local government areas of the state in batches.